It’s not very often that I add mini-sessions to the calendar just in time for the holiday cards! This years location will be Seaholm District downtown, a renovated Austin landmark with a modern and urban feel. Mark your calendars now for Friday, October 26th-Sunday, October 28th and BOOK YOUR SPOT NOW before they are all gone. • Your choice of 10 high-resolution, edited & print-ready images – perfect for those holiday cards! 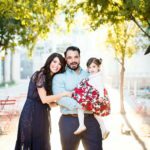 Full one hour family photography sessions, as well as day-in-the-life documentary sessions, are also always available if you would like more time, multiple locations and outfits.